Try one of our fresh dry-aged grass-fed angus beef burgers! 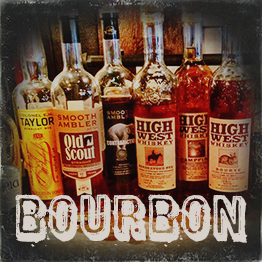 Come in and try ABV's growing Whiskey Wall! Check Out Our Featured Craft Beer Drafts. 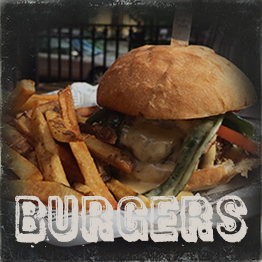 Take a look at some of our featured burgers. Got a beef with beef? No problem, take a look at our alternative burgers. All of our fresh DRY-AGED GRASS-FED ANGUS BEEF BURGERS are hormone and antibiotic free, sourced from verified humane and sustainable ranches to ensure the highest quality and flavor. 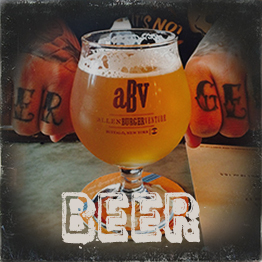 Show your true colors by buying ABV hoodies and tees at the bar or online. Click here to view our apparel online. Come celebrate the WNY debut of Collective Arts Brewing with a can release and tasting at Allen Burger Venture, April 27th!